Diron Cassidy is a vestibular specialist with more than 18 years of experience. 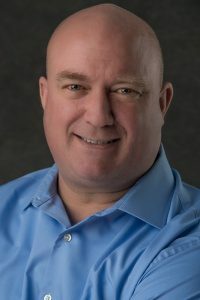 In addition to successfully completing three of the APTA Vestibular Rehabilitation Competency Courses, he stays on top of the latest advancements in vestibular and balance rehabilitation through advanced professional courses and events. In addition to his clinical work, Diron has been active in the local chapter of the CPTA. He enjoys working with his team to develop their vestibular therapy expertise, and teaching students during their clinical rotations. In his free time, Diron enjoys fishing in the Delta and watching his favorite sports teams- the SF Giants and SJ Sharks. 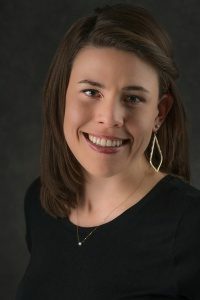 Johanna (Jo) Kerr joined Vortex Physical Therapy and Balance in 2018. Her interest in neurological and vestibular therapy started when she did her training at an outpatient clinic in San Francisco, where she worked with patients with Parkinson’s disease and multiple sclerosis. Jo is passionate about helping individuals improve and maintain their functional mobility, so they are able to do the things they love. In October 2018, she became a PWR!Moves® certified therapist for individuals with Parkinson’s disease. She is also developing her vestibular rehabilitation expertise and enjoys working with dizzy patients. If you or a loved one are more comfortable speaking Spanish, you will be assigned to work with Jo. In her spare time, Jo enjoys going to the gym, hiking around the Bay Area, watching football and traveling to new places. Brittany Curry has been with Vortex since August 2015. 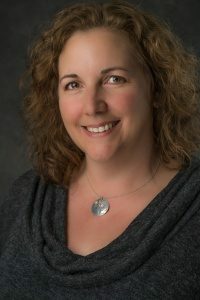 Her passion for treating neurological conditions started during her training at outpatient clinics in Colorado and Michigan, where she worked with individuals recovering from strokes and spinal cord injuries. 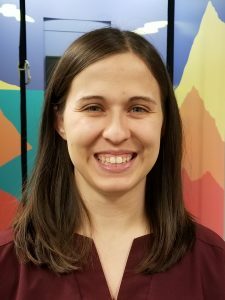 Since joining Vortex, Brittany has focused on specializing in vestibular and balance rehabilitation and she has successfully completed the APTA Competency Course on Vestibular Rehabilitation. She enjoys working with people to resolve their symptoms and get back to living an active life. Brittany continues to take advanced courses in vestibular and balance rehabilitation. A native of San Jose, Brittany enjoys hiking, riding her beach cruiser, racing go-karts, and snowboarding. 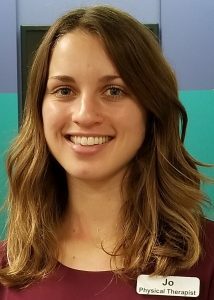 Amanda Kelch recently joined Vortex Physical Therapy and Balance. She moved to California from Michigan after completing a year-long neurological residency at Mary Free Bed Rehabilitation Hospital in Grand Rapids, the fifth largest rehabilitation hospital in the US. While there, she had the opportunity to work with people recovering from brain injury, stroke, spinal cord injury, concussion, vestibular dysfunction, and other neurological conditions in both inpatient and outpatient settings. Her residency experience has helped shape how she approaches patient care and will be a big benefit to her patients with vestibular and neurological issues. She is currently studying to take the Neurological Specialist Certification exam in March 2019. Amanda enjoys hiking and biking with her husband, taking their dog for long walks, and reading. Cara handles the daily management of the practice, which includes scheduling patient appointments, answering questions, coordinating with other medical offices, and insurance billing. As the primary contact for the clinic, she is the point person for questions about our therapy program. Cara leverages her background in communications and customer service to ensure a positive experience for everyone who walks into our clinic. When she has spare time, she enjoys reading, traveling, fostering kittens and spending time with her family.